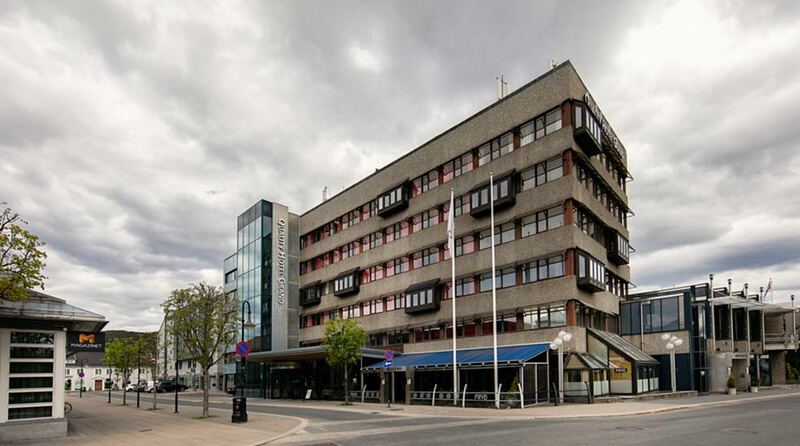 The Quality Hotel Grand is a conference hotel in central Kongsberg. Facilities include a spa, an à la carte restaurant, a nightclub and a concert stage. This hotel is perfect for both business and pleasure. This is a cash-free hotel. Quality Hotel Grand is located in central Kongsberg, just an hour by car from Oslo. Stay in a modern hotel with an atmospheric restaurant, party hall, bar and wonderful spa facilities. If you'd rather explore Kongsberg's cultural life, you'll find everything you could wish for within walking distance of the hotel. Revitalise yourself in our wonderful GruveSpa, where you can enjoy a wide variety of treatments, tailored to your wishes and needs. In our GruveSpa and relaxation areayou also have the opportunity to take a dip in our chlorine-free pool, relax in the Jacuzzi, or warm up in the sauna. Quality Hotel Grand has always been more than a conference hotel. This hotel offers several experiences all in one. We have comfortable rooms, delicious meals, a relaxing spa and proximity to Kongsberg's cultural activities – the choice is entirely yours. Quality Hotel Kongsberg is cash-free, which ensures added security for our guests and visitors. More information about this can be found under FAQs. We offer a bright and airy conference section with flexible meeting facilities that can accommodate up to 600 people. We can help you with the planning and execution of conferences, meetings and events – large and small. The hotel's location is ideal for exploring Kongsberg. You can see the Kongsberg church here, Norway's largest and most beautiful baroque church with 2,400 seats. Learn more about the city's unique history at the Norwegian Mining Museum, visit the silver mines or the museums in central Kongsberg. If you're looking for physical activity, we recommend a round of golf on Kongsberg's golf course, the longest 18-hole course in Norway, or an action-packed visit to the Go Kart track. The ski slopes in Kongsberg's ski centre are open in the winter, and are only 5 minutes from the hotel. When you visit us you'll find exciting activities to suit every taste. Airport bus to Kongsberg station.